I have another cozy winter drink for you today! It’s a little twist on the homemade salted hot chocolate I shared a couple months ago! This time we’re skipping the caramel, and instead adding in some chai spices. 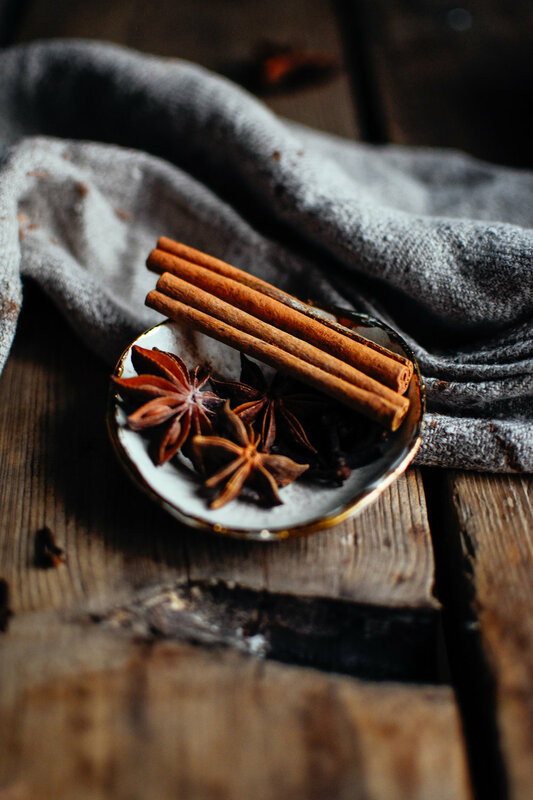 I have two methods that work, one with a tea bag, and the other with a homemade chai spice mix…because I like to keep things simple, but also like options. Ha! 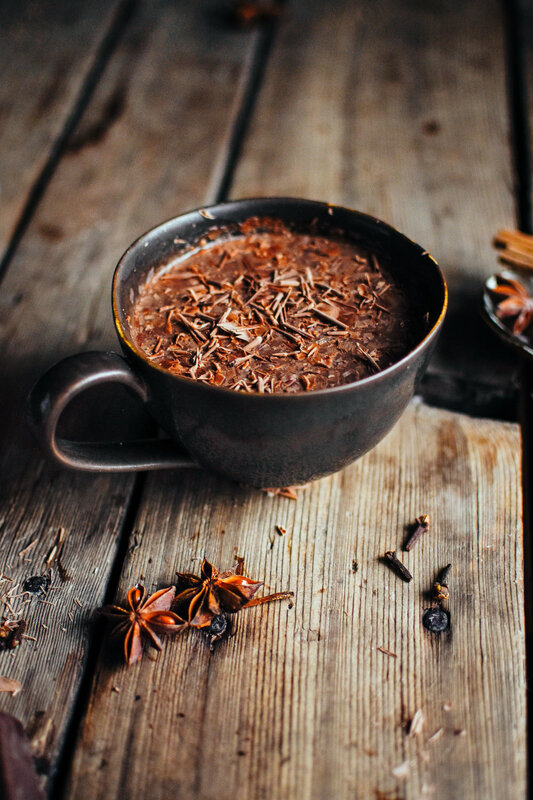 I’m not sure why I never thought of adding other spices to my hot chocolate, cinnamon is the most I’ve ever done, but this is the dreamiest combo. There’s something so warm about a dash of cardamom, cloves, nutmeg, and ginger. Such a simple way to change up a classic winter drink! If using a tea bag, first heat the water in a small saucepan until boiling. Remove from heat, and add the tea bag, let steep for 3-4 minutes, and remove tea bag. If using spice mix, simply stir into water, and continue with below method. Start with 1/4 teaspoon of the chai mixture, and add more to taste once mixture is all mixed together. Add milk to the water in the small saucepan, and heat mixture over medium low heat, stirring frequently. Heat until steaming, but don’t let it come to a boil, or it may scald and burn. Meanwhile, melt the chocolate either using a microwave or small double boiler. Whisk melted chocolate into the hot milk mixture until completely smooth. Taste the hot chocolate and see if you need more chocolate, milk, or and adjust accordingly. Stir together spices, and store in a small jar. *You can easily adjust/omit spices as per your personal taste!